A full pictorial record of our history and people who have been part of and still are Southern Upland Roving Archers. Archery ! Who needs it ? ARCHERY Road Trip Ehh ! Another Birthday & Yetholm Show Composite ! Charlies 7th Birthday & Cakes ! Following Thirlstane on the 23rd June 2019, SURA will also be attending Paxton House Vintage Car rally for another archery Have-A-Go. People of all ages welcome to come along! 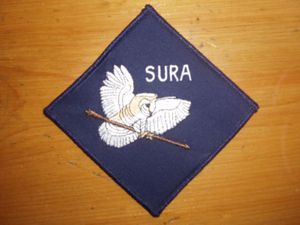 Finally, on the 3rd August 2019 SURA will be attending Powburn Show with the archery Have-A-Go. Hopefully our team will see as many people as possible to try their hand at a bit of archery. Safe, Friendly, Family Fun!